October 10, 2017 15 Comments This post may contain affiliate links. 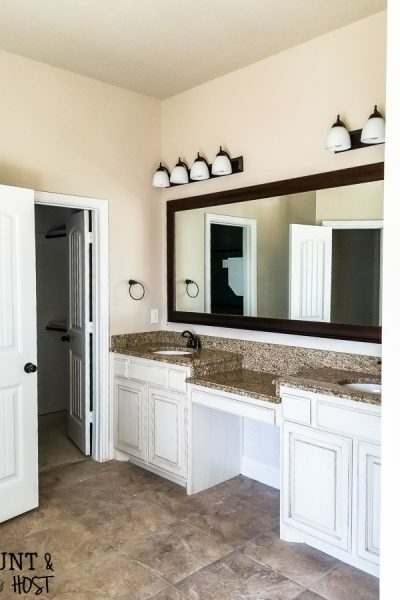 This post is sponsored by Cost Plus World Market, all opinions and ideas are 100% my own This post also contains affiliate links so you can find the items I used, this means should you make a purchase I may receive a commission, thanks for your support! 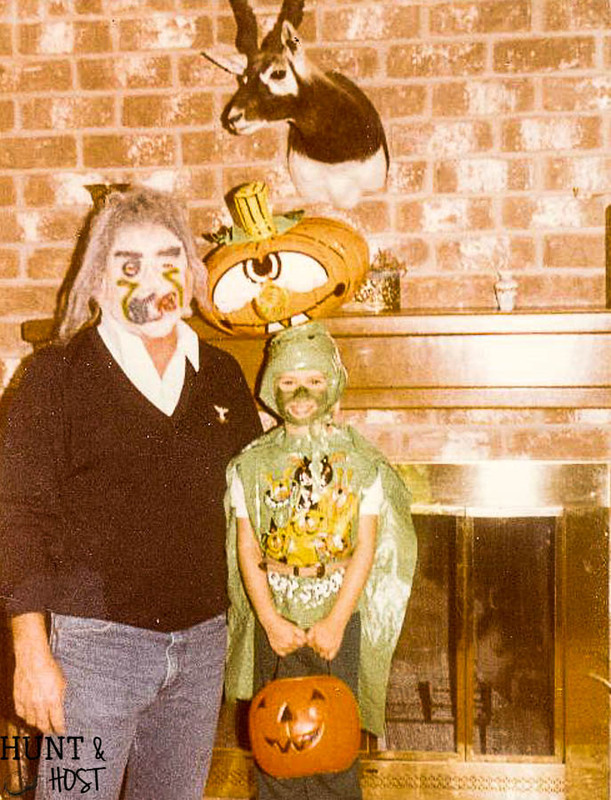 When I was little my dad would wear the same mask every year and trot me up and down the streets of my neighborhood. He stood at the curb while I ran to the door and collected gobs of candy. My mom stayed home and handed out the treats at our house and by the time we got home she would have all the lights turned off because she had been completely cleaned out. Our neighborhood was a good one for trick or treaters! I love this memory and now love taking my three little ones as a family every year. 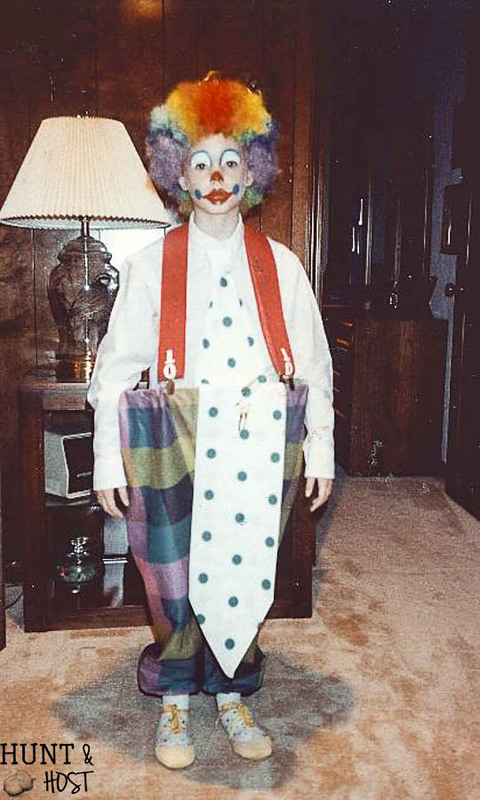 My fondness of Halloween started way back then. 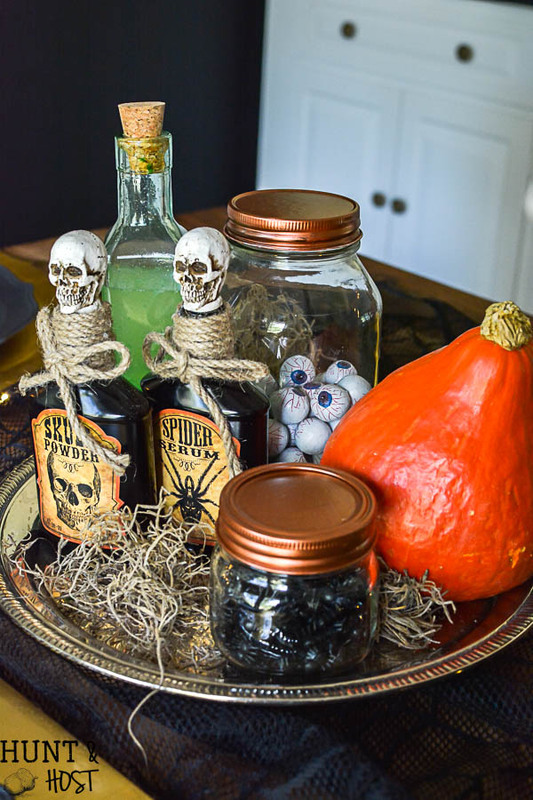 Cost Plus World Market wants to see how you Halloween and are throwing a fun Halloween Photo contest. I have all the details a little further down, there are gift cards to be won!!! I’m subjecting you to one more childhood photo and then on to the tablescape you came for. 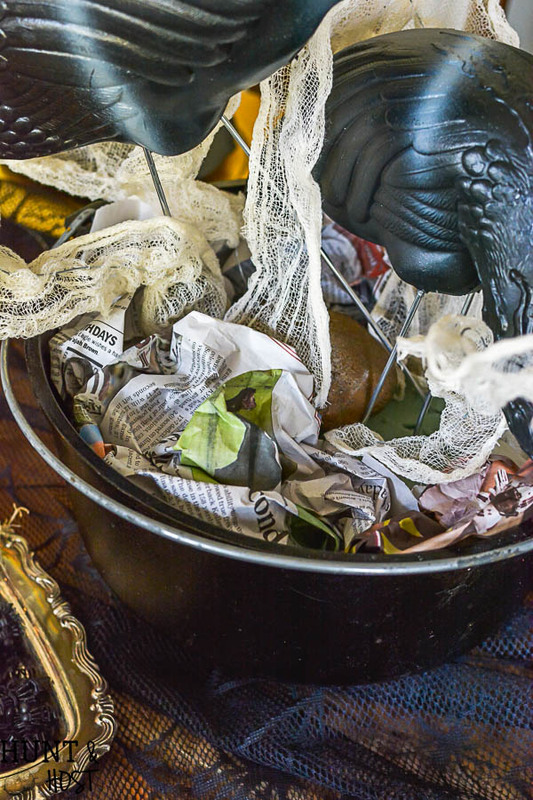 I gathered this gruesome nest of goodies from my local Cost Plus World Market in College Station, Texas, you can find your closest store by using this store locator. 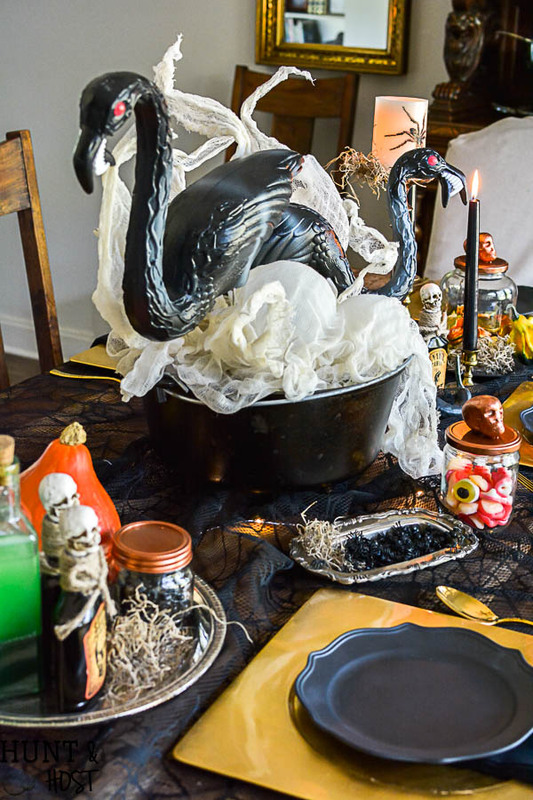 Most of the items at this table came from there and you can shop the guide at the end of the post in case you want to grab any fun goodies for your Halloween stash! When I saw those zombie yard flamingos in the classic Halloween décor I had to have them, but NOT for the yard! This crazy lady wanted to plop them in the middle of the dining room table. If you’ve been around the blog for a hot second you know I love a good tablescape! I decided zombie flamingos only come about at the hands of a crafty scientist..am I right? I used a big cast iron pot I had in the kitchen to brew up these zombie flamingos. First, I cut down the metal legs with wire cutters and stuck them into a block of floral foam. I used a rock to weigh down the foam. For the crazy steam I cut some cheesecloth into strips and odd shapes, draped it over a hanger and sprayed it with Quick Stiffen Stuff and allowed to dry. 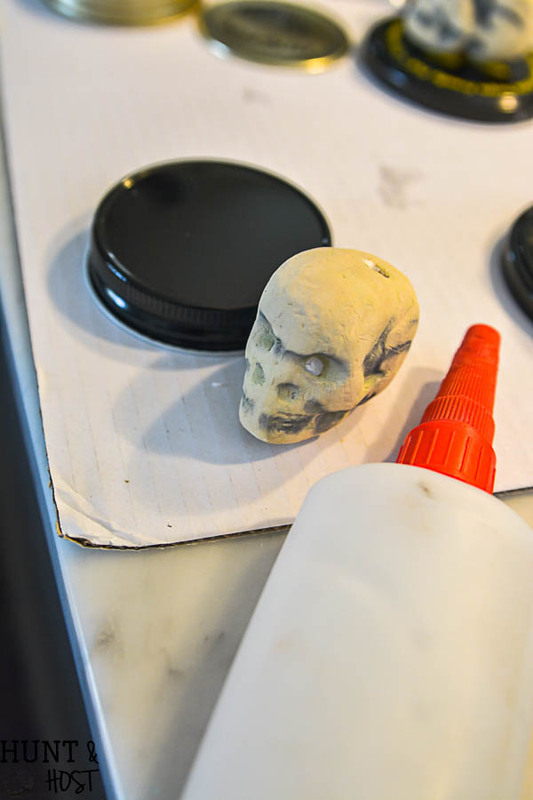 I’ve used this technique before and it was much easier than this go round…you never know with DIY! 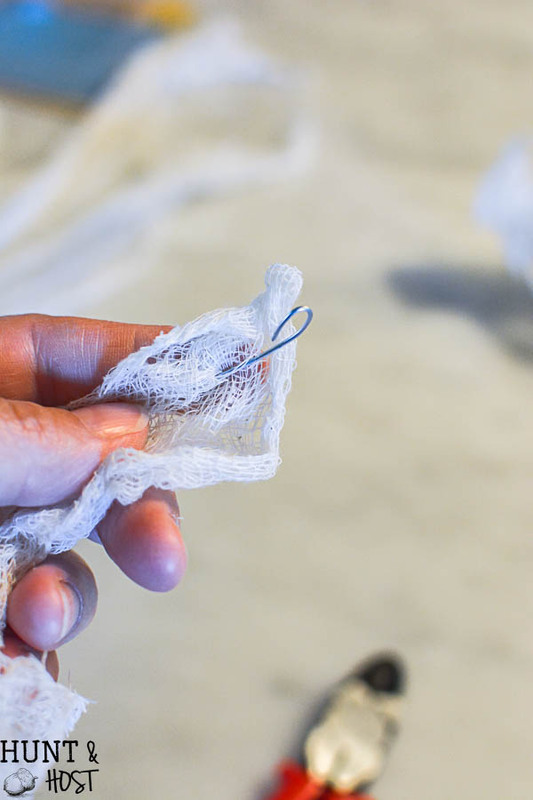 Once the cheesecloth was dry and had some body to it I threaded some 20 gauge wire through the middle. 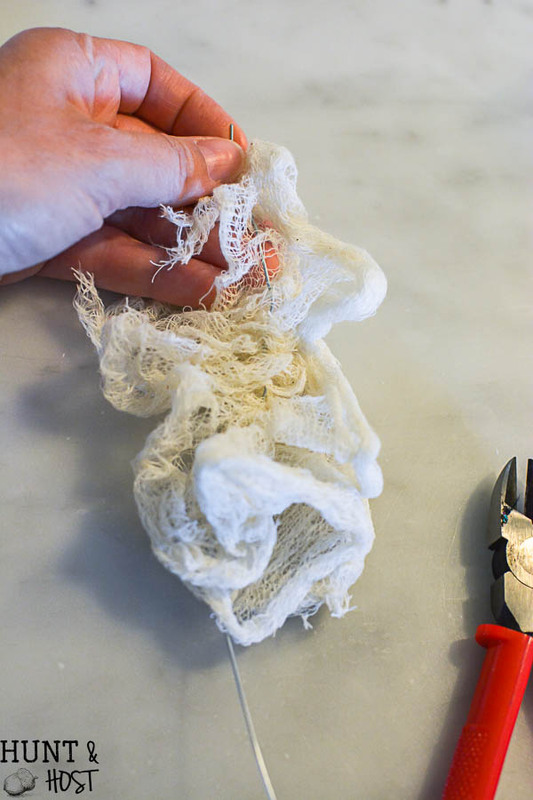 I bent the end of the wire and wrapped the cloth around the tip then spread out the cheesecloth and bent it into steamy shapes. Next, stick the steam into the floral foam. 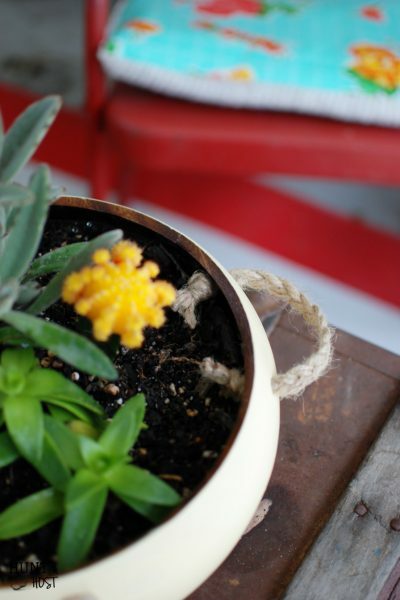 I stuffed some newspaper in the pot to fill it up and laid a couple of clear balloons around for foamy bubbly steam, then draped cheesecloth all around the bottom covering the entire pot. 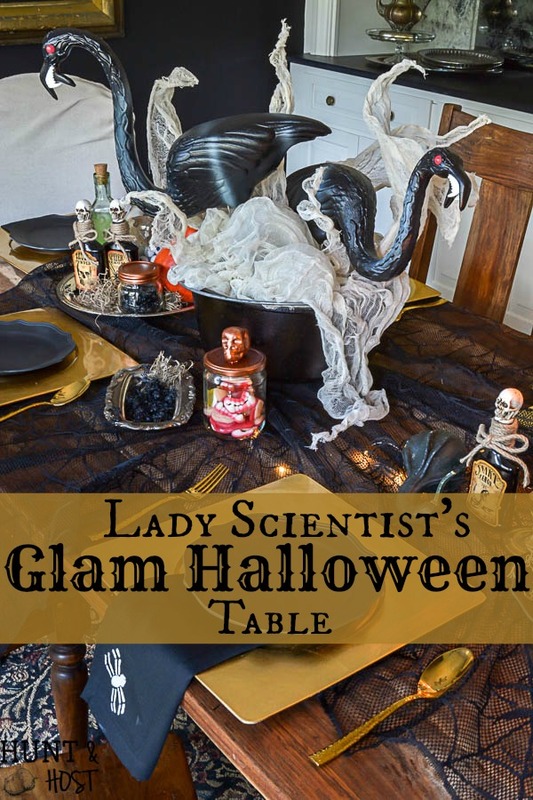 The rest of the table got set with things I think a glam scientist lady would have in her shop…spooky candles, gourds and potions. 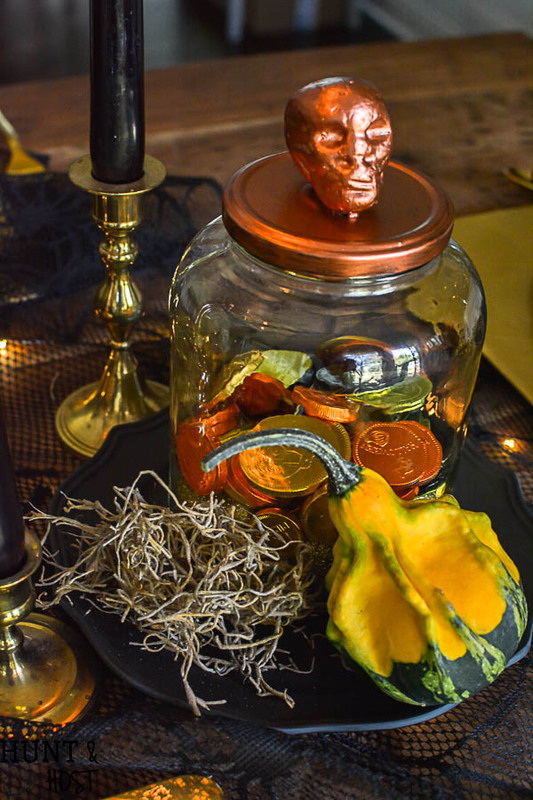 I took jars, glued skeleton heads on them and then painted them copper and filled them with chocolate eyeballs and coins. 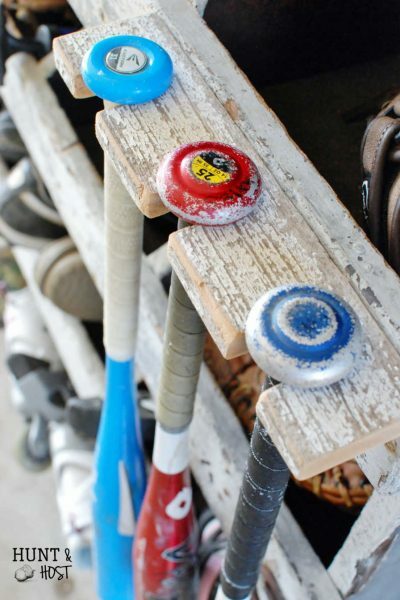 My kids are in love with this aspect of the table, lol! 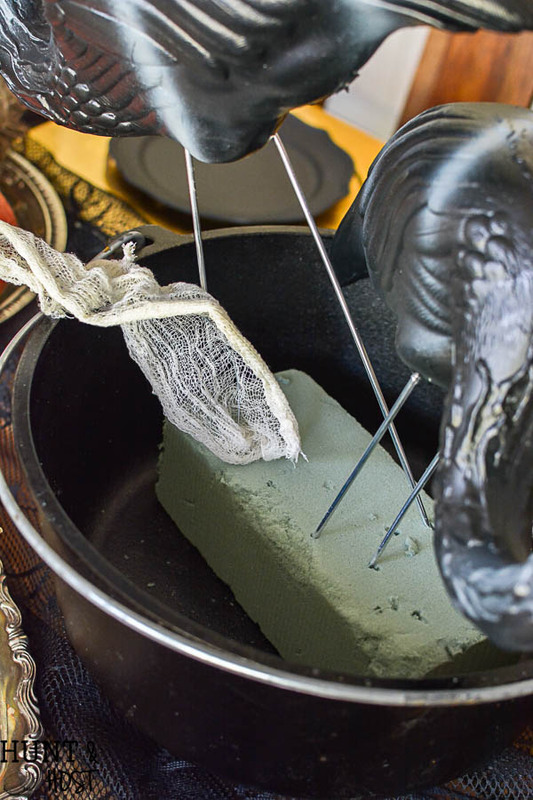 Spooky servings of spiders and tufts of dried moss all are laid out on this gorgeous lace spider tablecloth. Underneath the cloth I ran a string of Led lights for a soft glow. They would be cute in the pot under the cheesecloth too! All of this would be great on a mantel. For the place settings I grabbed these precious melamine baroque plates from World Market. You will be surprised how often you can use black plates at your table, trust me on this one. I thought it was a good time to bust out the gold chargers and my favorite gold flatware (I’ve had mine but World Market has some gorgeous ones), all the glam ladies are doing the same. 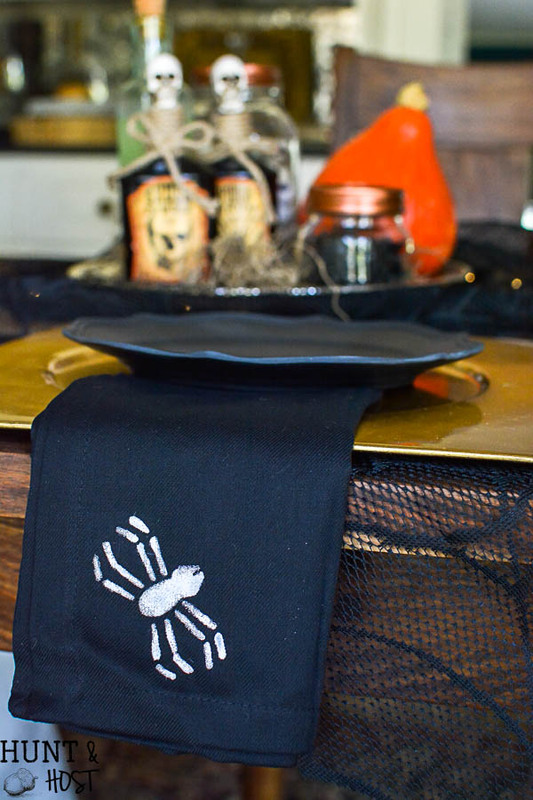 😉 For fun Halloween napkins I took the buffet napkins and stenciled a spider on the corner. 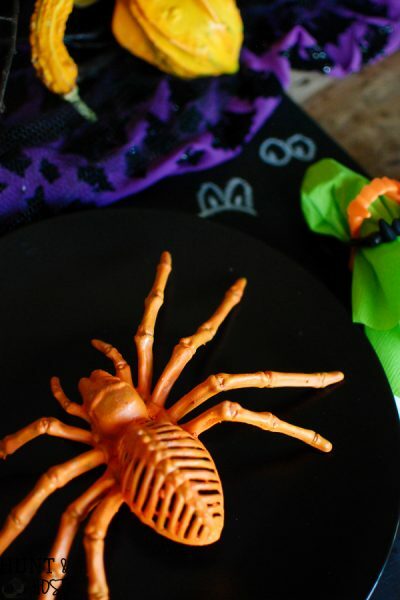 If you add the spider to the corner you can fold them as shown here or later you can slip them in a napkin ring and the spider will still show. 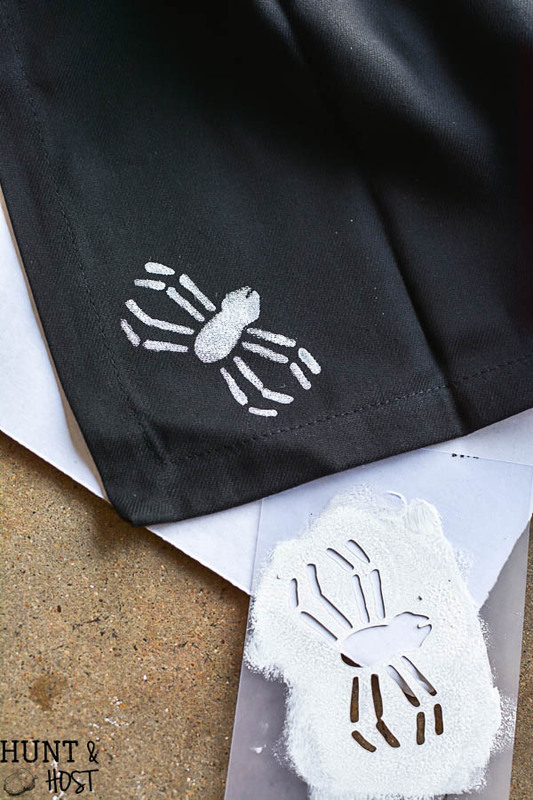 I have a free cut file for you to make your own DIY spider stencil to add to your table! 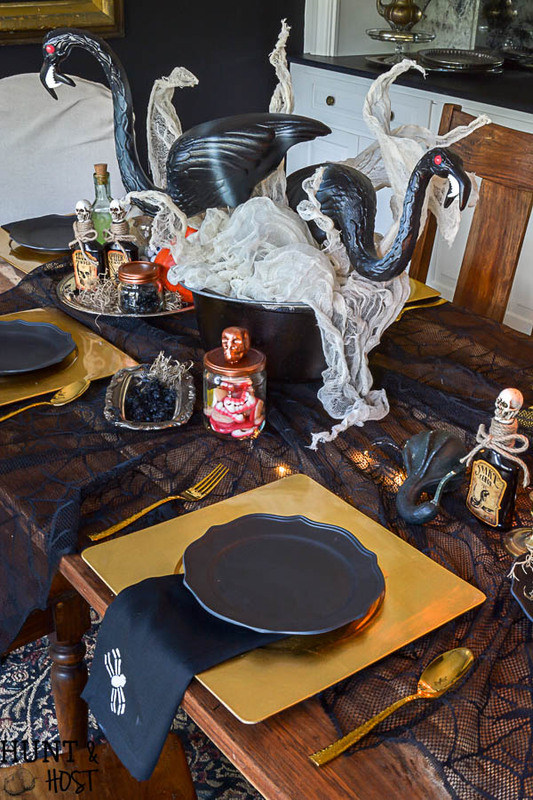 There is a lot going on at our Halloween table, but I can promise you it all makes for interesting dinner time talk! 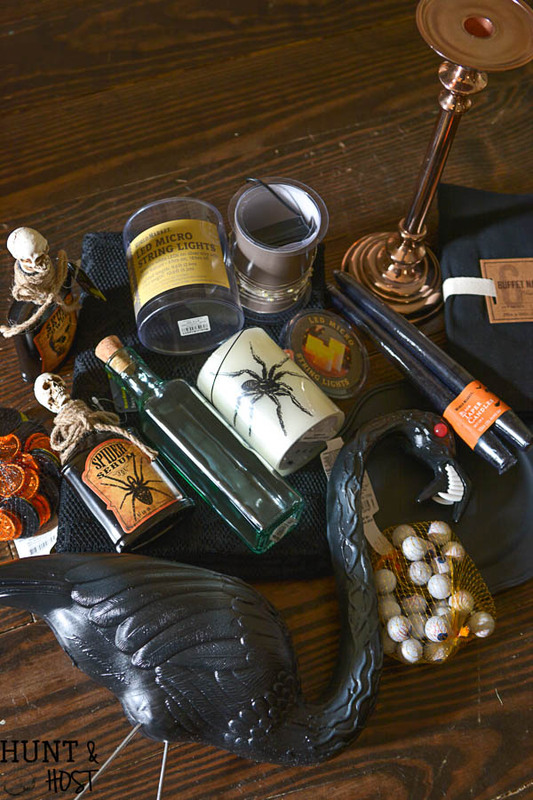 We look forward to hitting the streets and gathering goodies in a few weeks, I hope you will run out (or shop the guide below) and grab some of the items you see here and make your own fun Halloween memories! 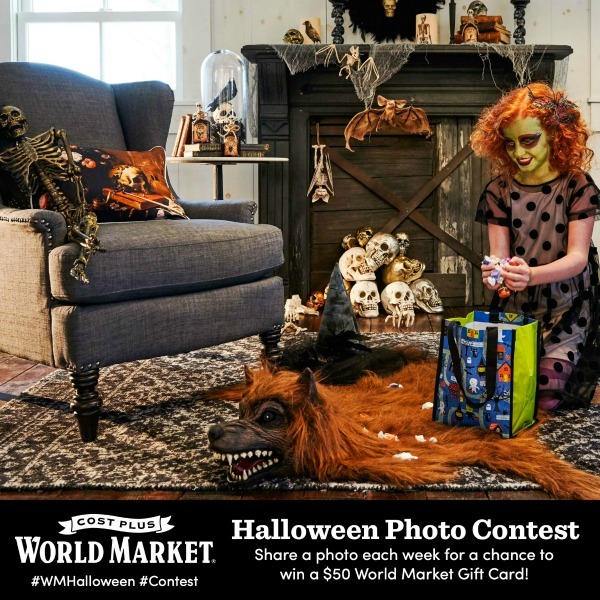 Don’t forget to enter the Cost Plus World Market Halloween Photo Contest for a chance to win a gift card. I love when my people (aka YOU) win! Cost Plus World Market is so excited about Halloween this month that they’re giving away (4) $50 World Market Gift Cards each week. 1. Share a photo or video on Instagram, Twitter or Upload Here for a chance to win. 2. Use #WMHalloween and #Contest in the caption if you’re submitting on Instagram or Twitter. 3. Cost Plus World Market will choose and announce 4 winners each week. Be sure to check out their weekly Halloween Themes. I love it all! I especially love the bottles of icky stuff and, of course, the zombie flamingos. A rocking’ tables cape! thank you, I had so much fun with this one!!! Zombie Flamingoes in your dining room, I can’t stop smiling!!! I know!!! love being silly! 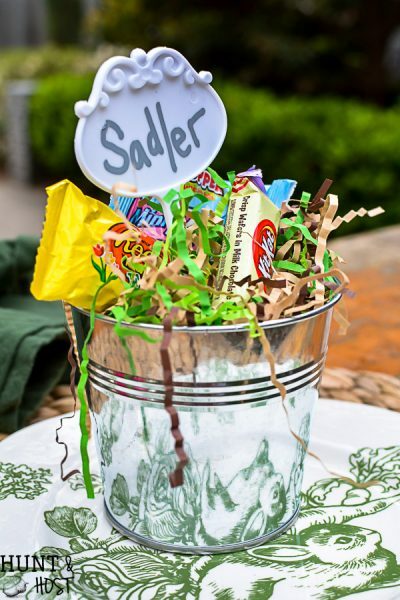 yay – so glad you like it, my kids are shaking bottles and eating candy all the time now!!! This is so fun & festive! Love it! we are having a blast with it! Love this so much Kim! Glam indeed! I love the changes Halloween décor has gone through, can’t wait to see what’s next! Those flamingos are outrageous! This table is so much fun and I look forward to seeing your holiday tables. aren’t they fun!!! I love them, can’t wait to try them somewhere new next year! 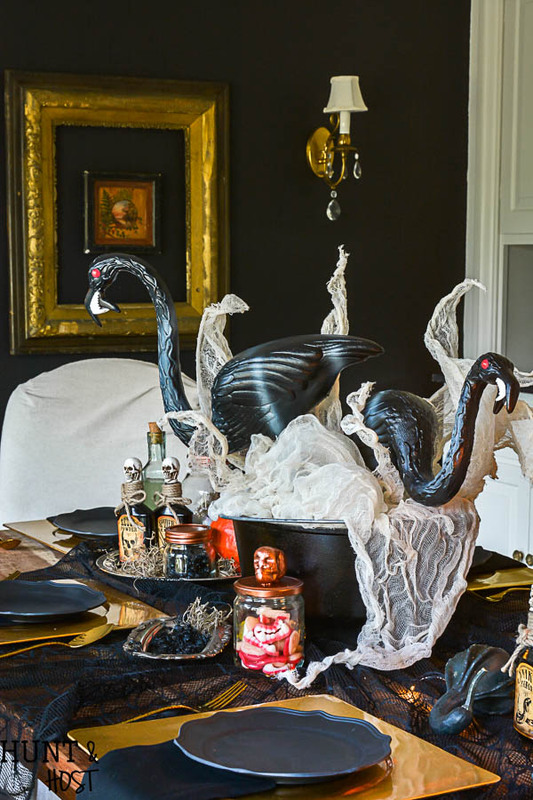 What fun glam Halloween decor! 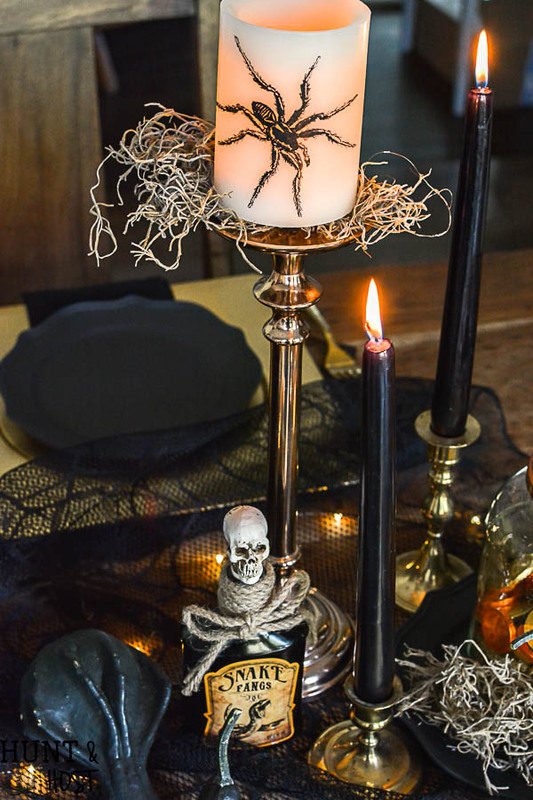 We love glam and Hauntingly Beautiful Halloween ideas over at the Hauntingly Beautiful Decor Halloween Link party if you would want to link up with us!